Wishing you a blessed and peaceful Christmas 2014, in a pretty random world. Redhill doesn’t look like this – yet. 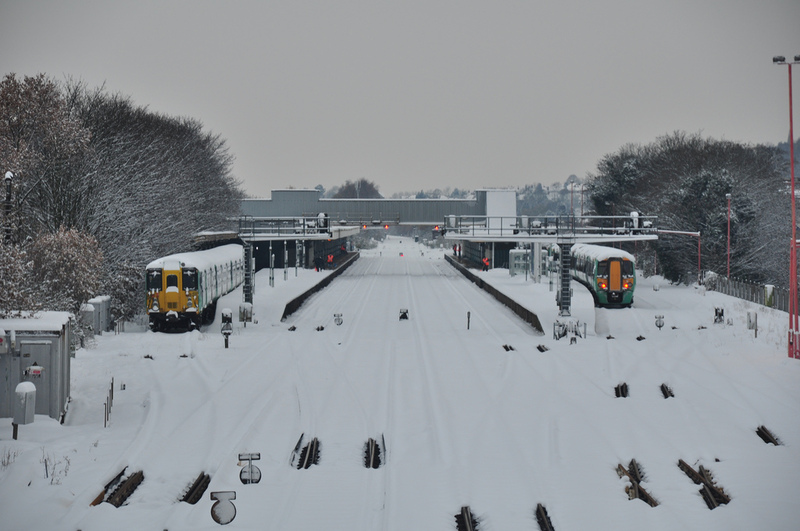 I like how the point heaters are working perfectly – pity about the rest of the railway. This entry was posted in ESNG, Out and about, Prototype and tagged ESNG, prototype, railway. Bookmark the permalink. Merry Christmas and wishing you a happy modeling New Year. And a very happy Christmas to you, too, Allan!